Nanci Campbell, Au.D., Board Certified Doctor of Audiology uses a “Patient-Centered” approach, working together with you and your family to educate you about your hearing loss and possible treatment options. She will help guide you on your unique journey toward improved hearing and an improved quality of life. Dr. Campbell uses ‘Best Practice’ Diagnostic procedures and the latest technology to evaluate and treat your hearing disorder. She will demonstrate to you why exceptional quality is vital, not only for hearing aids, but for the professional providing the care. Successfully treating hearing loss is a process, not just a product. A highly experienced Audiologist, with over 30 years of experience, Dr. Campbell takes you through the process of retraining your brain how to hear again. You will take confidence in the fact that your hearing aids are personalized to include your preferences and the fit is verified using Real Ear measures. They will meet your individual needs and desires. 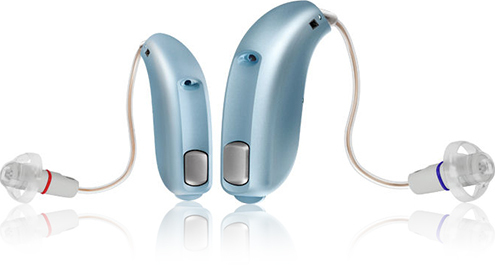 You will take confidence in the fact that your hearing aids are personalized to include your preferences. They will meet your individual needs. All fittings are verified using Real Ear Measurements taken near the eardrum. This confirms that your hearing aids are performing as expected. Dr. Campbell will explain all aspects related to using and caring for your hearing aids. She will let you know what to expect, even letting you hear what it will sound like to wear hearing aids before you purchase them. She will support you in your use of amplification for years to come. We look forward to helping you and your family with all of your hearing healthcare needs. Schedule your appointment today with our helpful staff and hear the difference we can make in your hearing health.